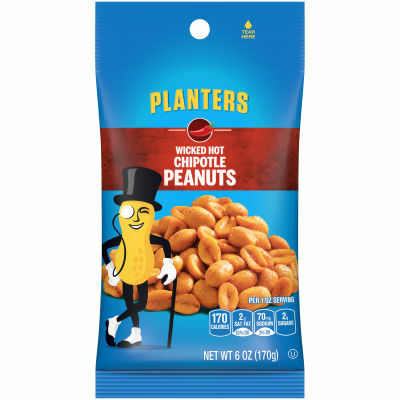 Spice up your snack time with Planters Chipotle Peanuts. This peanut mix is made with a bold combination of chipotle seasoning with garlic, onion and a pinch of sea salt. Spicy and satisfying, these peanuts take on a whole new level of flavor. Satisfy your cravings with bold, spicy flavor. Serving size 1 oz (28g/about 37 pieces).